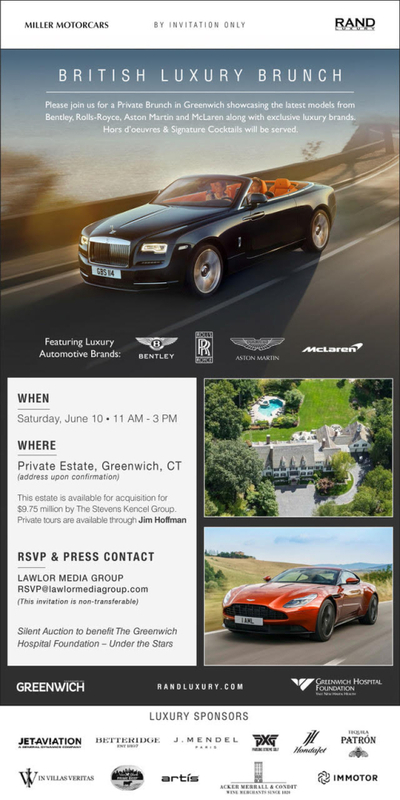 Preview the latest vehicles along with fine timepieces, jewelry, private aviation, electronics, fashion & more. Hors d’oeuvres & Signature Cocktails to be served. A silent auction set to benefit the Greenwich Hospital Foundation.